A day after it was left high and dry by the Samajwadi Party (SP) and the Bahujan Samaj Party (BSP) forging an alliance, the Congress on Sunday announced it will contest all the 80 Lok Sabha seats in Uttar Pradesh on its own strength. However, the Congress has kept the doors of a possible alliance open saying the Congress would accommodate any secular force capable of taking on the ruling Bharatiya Janata Party in the Lok Sabha election. The Congress has not been in power in Uttar Pradesh since the Babri Masjid demolition in 1992. The State has been governed alternately by Mayawati and Akhilesh Yadav. But the Congress plan to contest the all the Lok Sabha seats is expected to cut into the votes of the alliance. It is also expected to irk Mayawati and Akhilesh, who have lent support to the Congress Governments in Madhya Pradesh. Announcing that the Congress is ready to accommodate some secular political parties in their alliance in UP, it said that very soon the leadership will start selecting the candidates and party president Rahul Gandhi will address public rallies at different parts of the State. 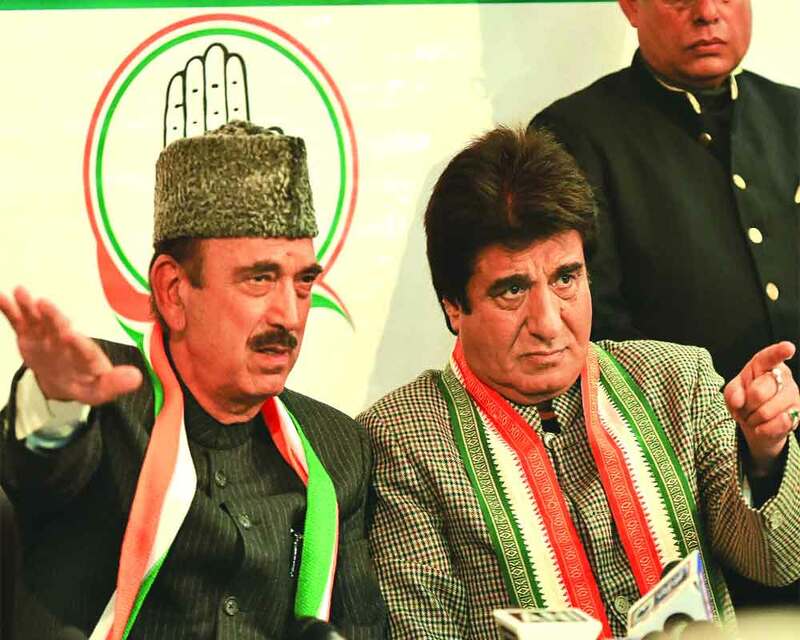 Addressing a Press conference here on Sunday, Ghulam Nabi Azad said, “The Congress will contest on all the 80 Lok Sabha seats in Uttar Pradesh, and defeat the BJP.” Azad also expressed hope that the Congress will double its tally of seats, which it had secured in the 2009 Lok Sabha elections. During the 2009 Lok Sabha elections, the Congress had bagged 21 seats. On the post-poll alliance with the SP and BSP, Azad said that at the national level, the Congress welcomes all the secular regional parties. Replying to another question on SP-BSP alliance, Azad said, “The Congress workers are not at all disappointed on being left out of the alliance. On the contrary, they are saying that the party would have had to contest on 25 Lok Sabha seats, but now they would be contesting on all the 80 seats of the State.” On possibilities of an alliance with the Rashtriya Lok Dal, Azad said that he would not like to speak to the media on this issue. Announcing that very soon party president Rahul will launch rallies at different places in the State on support of the party candidates, Azad, who is the Leader of the Opposition in the Rajya Sabha, said that some regional parties can too join them in the State thus predicting the inclusion of Rashtriya Lok Dal (RLD) in their fold. Claiming that there is issue of leadership among the anti-BJP parties and the issue of the next Prime Minister will be decided after the elections. On Saturday, BSP chief Mayawati and SP president Akhilesh Singh Yadav announced their parties would contest 38 seats each and leave out two seats — Amethi and Rae Bareily — for the Congress. Mayawati said her party never gained from an alliance with the Congress and held it responsible for the plight of backward castes. “We do not gain from an alliance with the Congress, whereas the vote transfer is perfect in an SP-BSP tie-up,” Mayawati had said. Drawing a parallel between the Congress and the BJP, she had said while the former had imposed Emergency in the country, the latter was responsible for the current state of “undeclared Emergency”. “The coming Lok Sabha election is a battle to unite India and safeguard the democratic values,” he said. “The Congress has been fighting for the rights of the poor, farmers, backward castes and Dalits since even before Independence and after Independence, it is following the same ideology,” he said.